1. A big stockpile of gold, teal, and black tats that have you covered for multiple music festivals. Or just one if you go from head to toe. Get a set of eight sheets from Amazon for $10.47. 2. 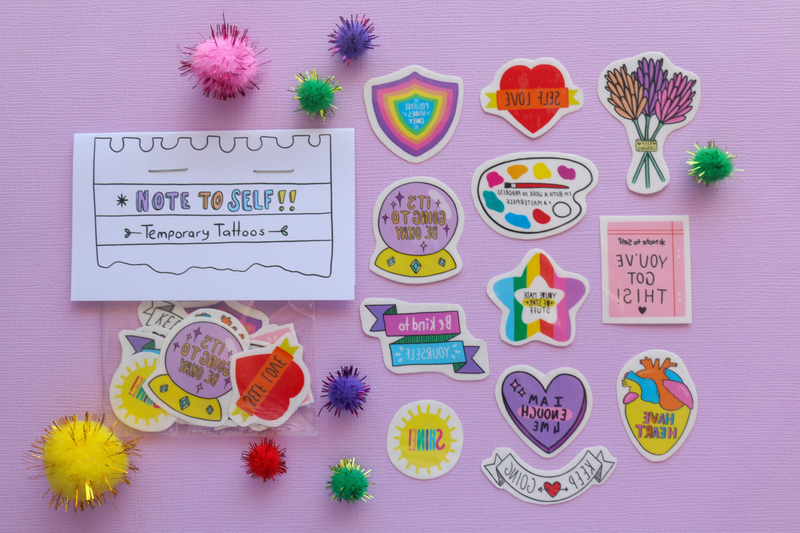 Hopeful and encouraging "note to self" tattoos to serve as a daily testament to your strength and well-being. 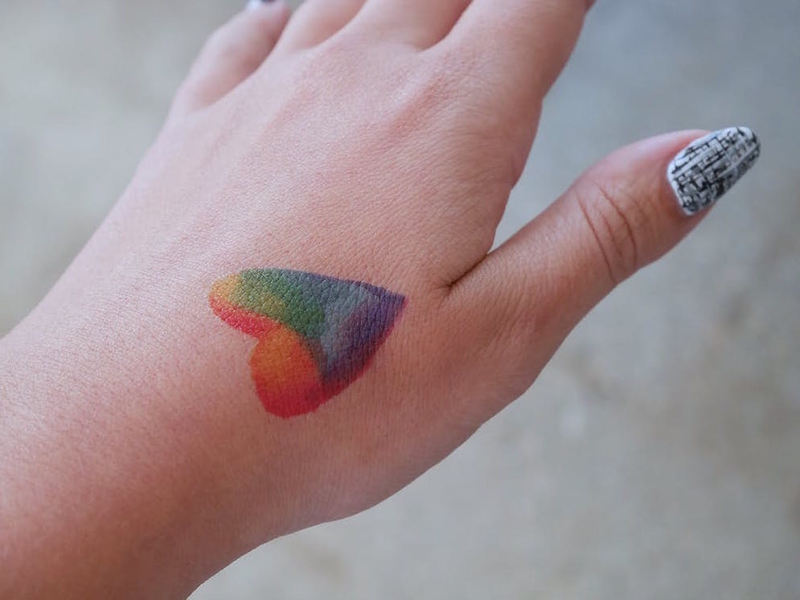 Get a set of 12 tattoos from Heart and Hands Store on Etsy for $7.80 (or 24 for $13.26). 3. A moon-phase tattoo kit that's derived from an organic, fruit-based formula that lasts for — wait for it — two weeks! 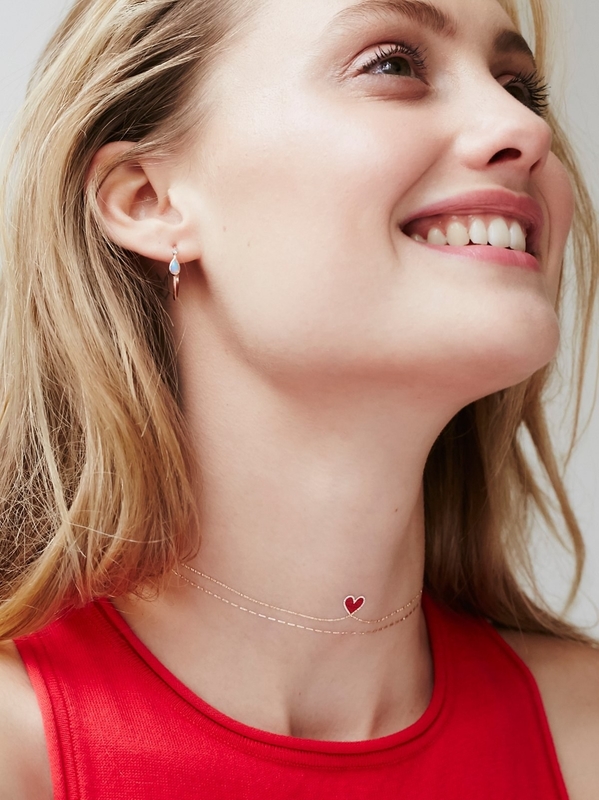 Get it from Urban Outfitters for $23. Available in three styles. 4. 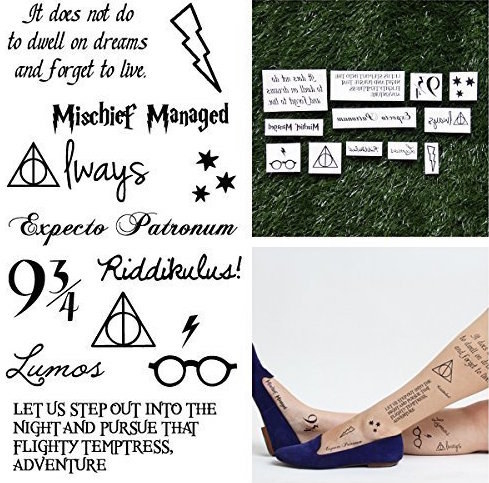 An assortment of Harry Potter symbols and quotes so you're never without a little magic in your life. Get them as a set of 24 tattoos from Amazon for $10 or as individual designs for $4.99+. 5. 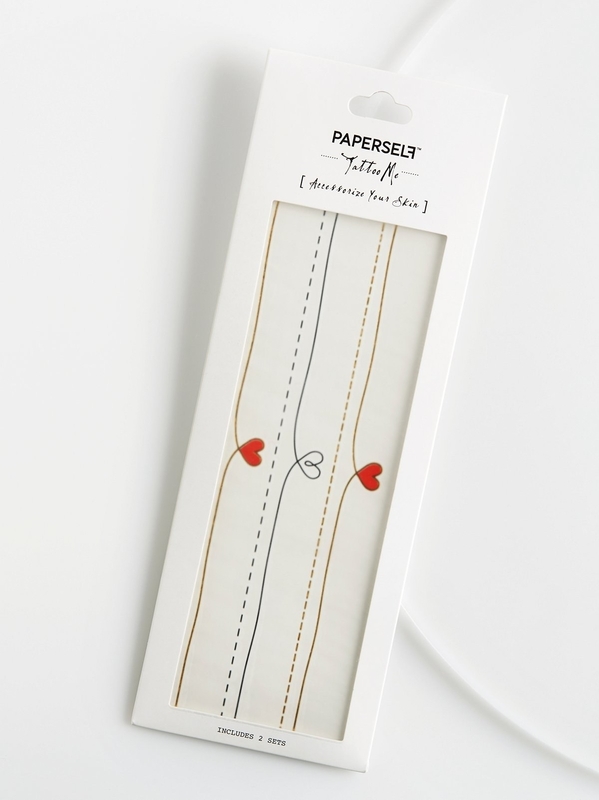 Dainty heart and line tattoos for a lovely wraparound necklace. Get a set of two sheets from Free People for $9.50. 6. 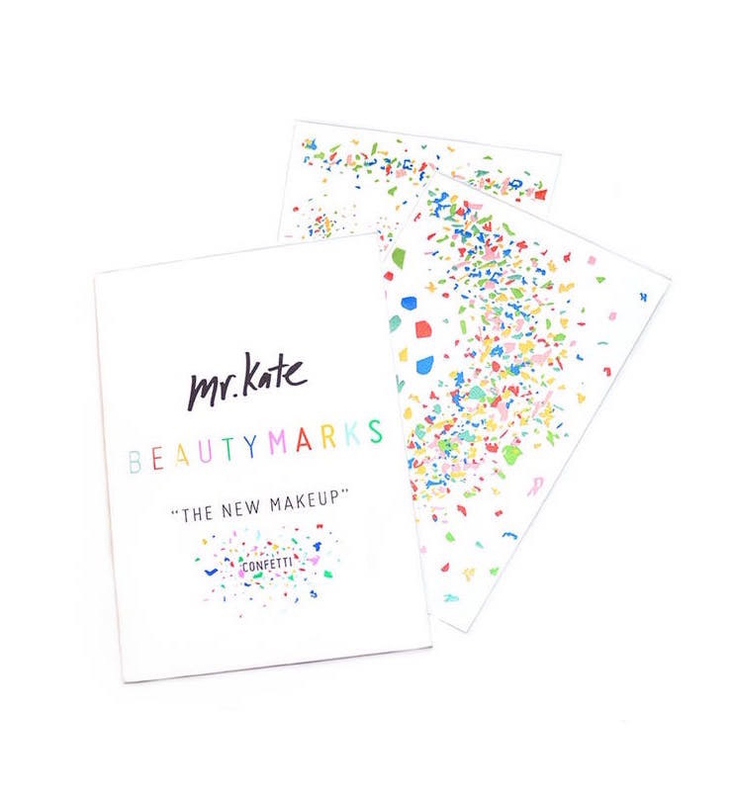 Colorful specks designed from actual photographs of sprinkled confetti for a realistic ~party on your body~ vibe. Get a set of two sheets from Spring for $14. 7. 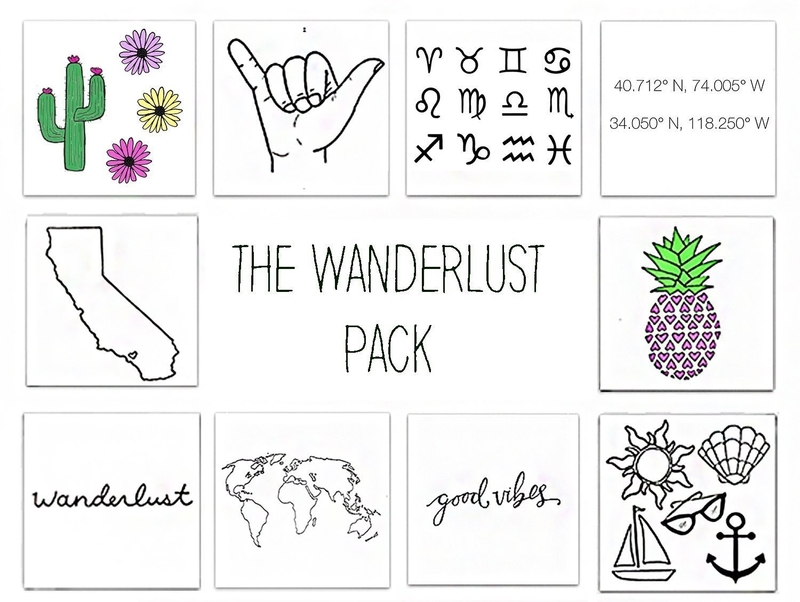 A wanderlust-inspired pack for anyone who has a bucket list that won't stop growing. Get a set of 10 tattoos from Amazon for $14. 8. Multicolored unicorns that will make themselves right at home along your arms and legs, thank you very much. Get a sheet from Missy Minzy on Etsy for $4.29. 9. 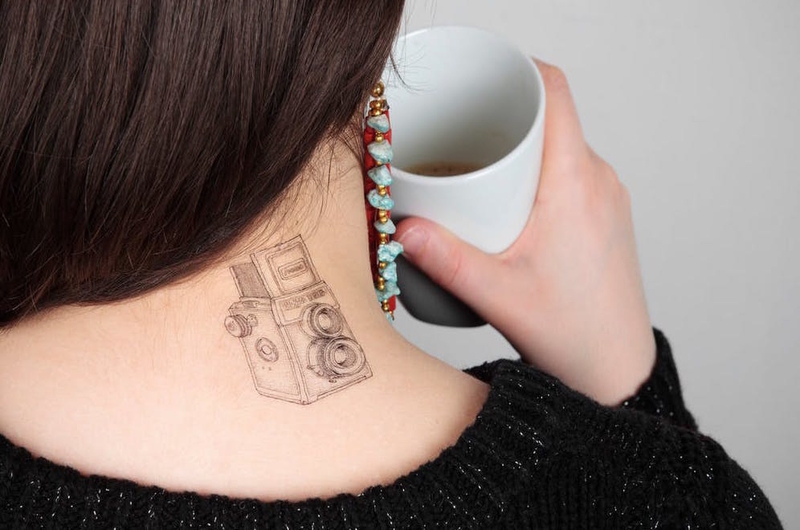 Sketch-like lomography tattoos for proud old-school camera nerds. 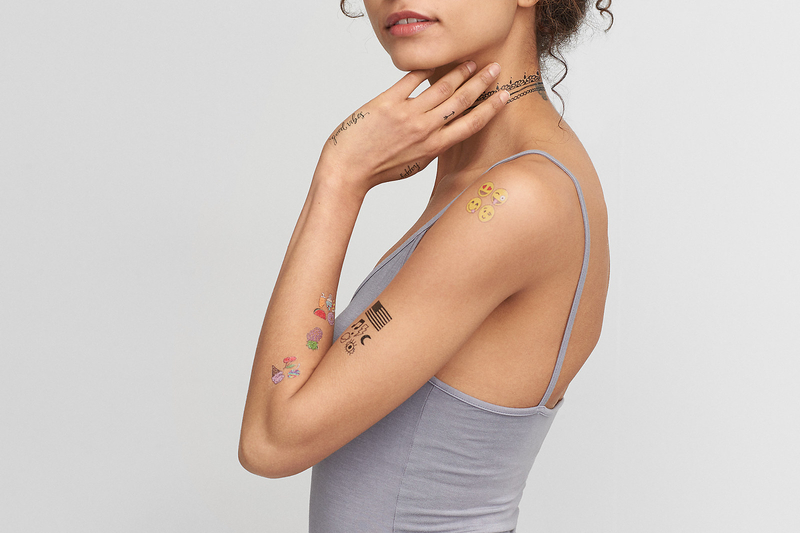 Get a set of five tattoos from Spring for $7.90. 10. 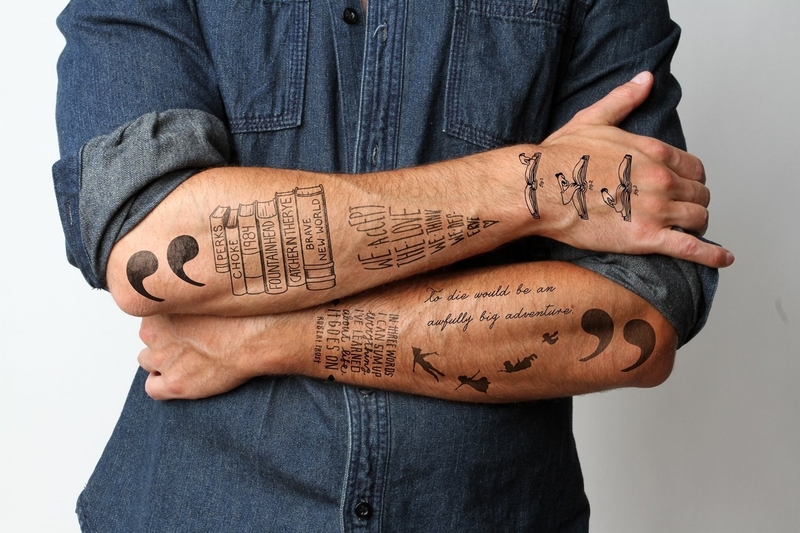 An assortment of literary tattoos that are a must for bookworms (and Peter Pan lovers). 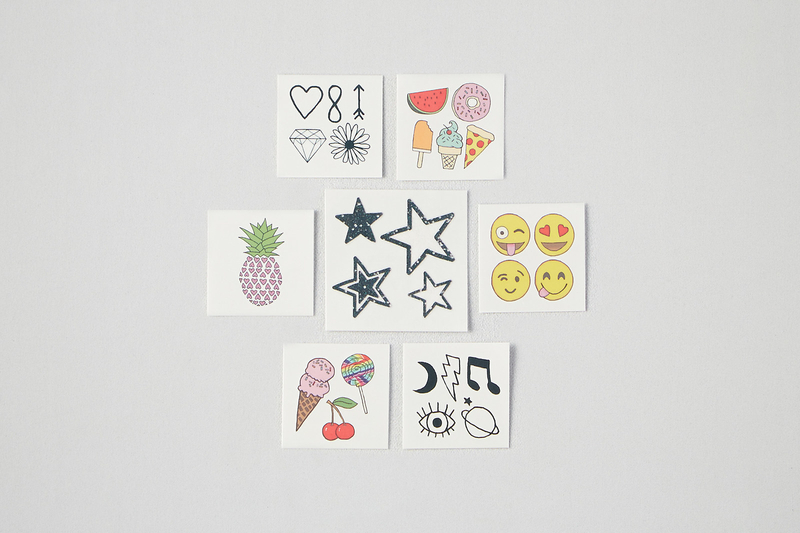 Get them as a set of 14 tattoos from Amazon for $10 or as individual designs for $3.99+. 11. Teal mermaid scales for a subtle jab at your ~true~ identity. 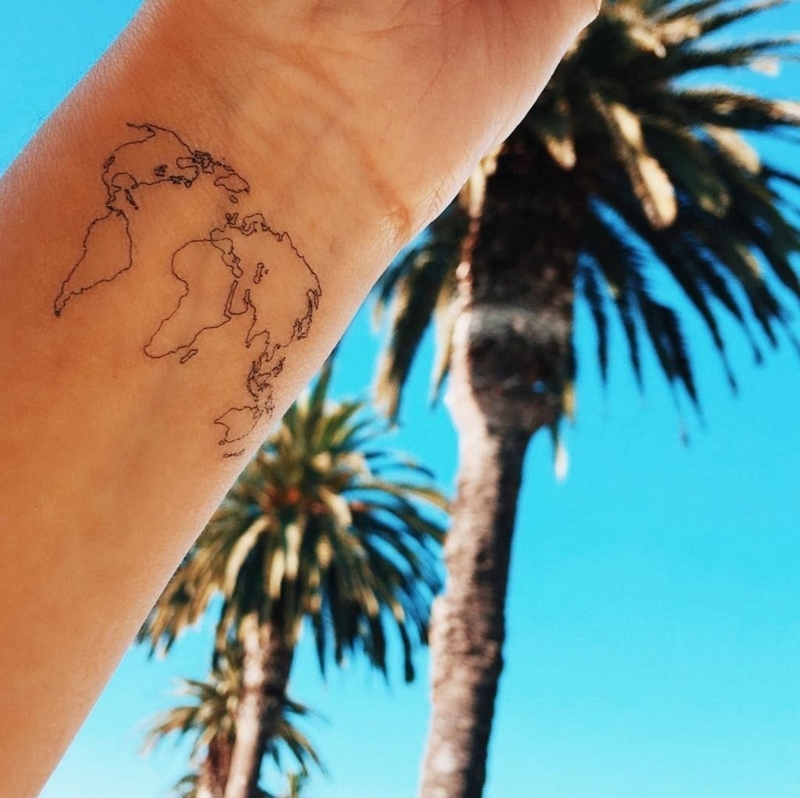 Get a set of four tattoos from Siideways on Etsy for $10.41. 12. Contemplative Alice tattoos that make you say, "It's no use going back to yesterday, because I was a different person then." That or "we're all mad here." 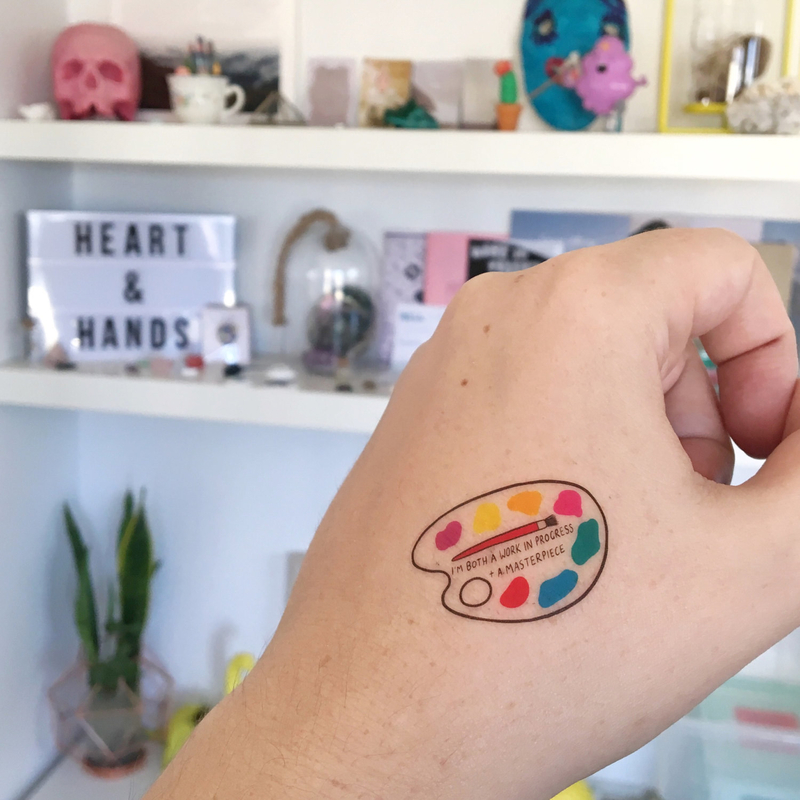 Get a set of two tattoos from Geek Tat on Etsy for $7. Geek Tat's sister Etsy shop, Smash Tat, also offers a six-tattoo Alice in Wonderland pack for $11. 13. 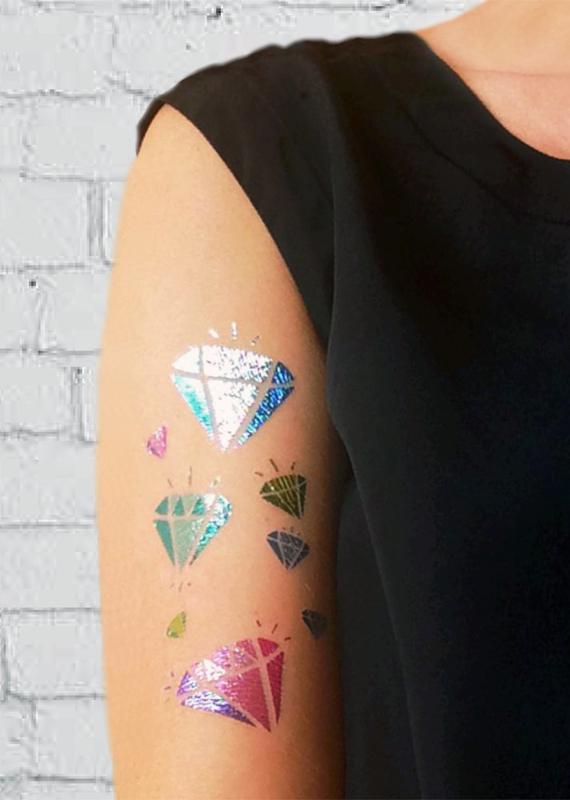 Metallic diamond tats for a truly priceless set of bling. Get a sheet from Happy Tatts on Etsy for $13. 14. Emotional "popsicle pals" who could definitely use a supportive arm to nap on. 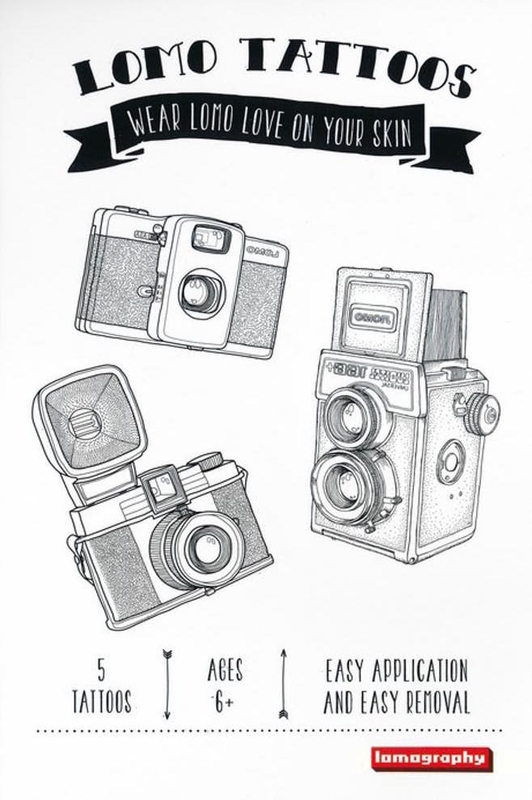 Get a set of three tattoos (or more) from Love and Lion on Etsy for $5+. 15. 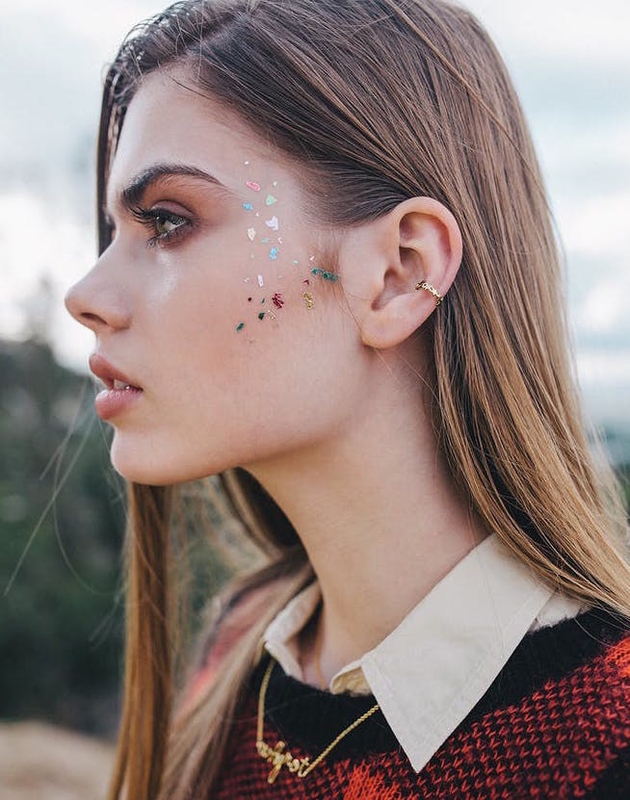 A garland of floral tats for a dose of sunshine and warmth to brighten up the cloudiest of days. Get a set of five sheets from Urban Outfitters for $12. 16. Gorgeous watercolor designs that could pass for a hand-painted job, but probably look way better. 17. A slightly grumpy (but nevertheless very floofy and precious) pup squad you can pet until you get a dog of your own. And when dog owners give you the stink eye for interrupting their walk to fangirl over their dog. 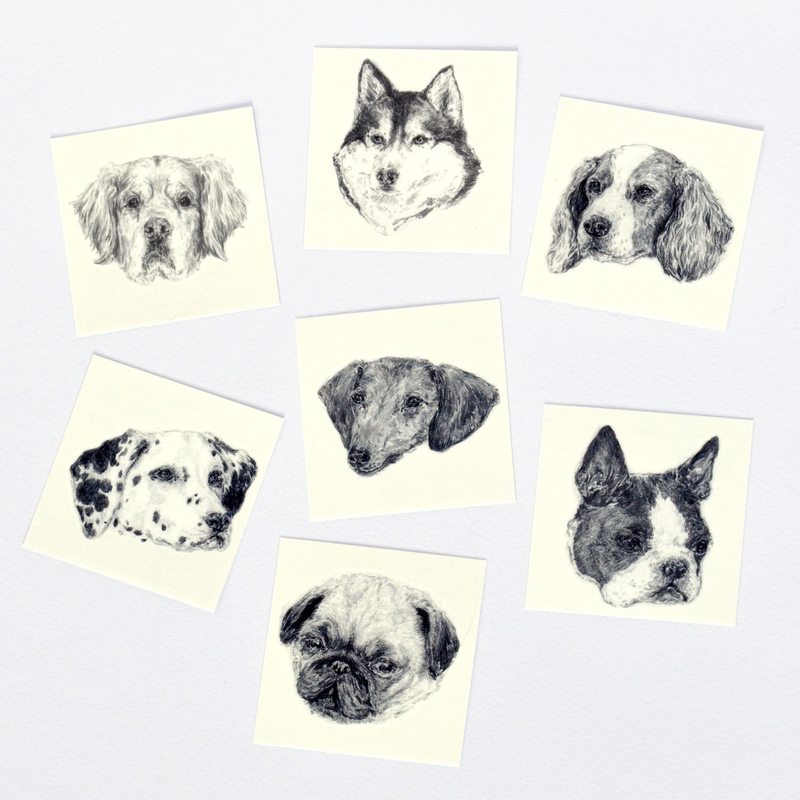 Get a set of seven tattoos from Hello Harriet on Etsy for $17.26. 18. 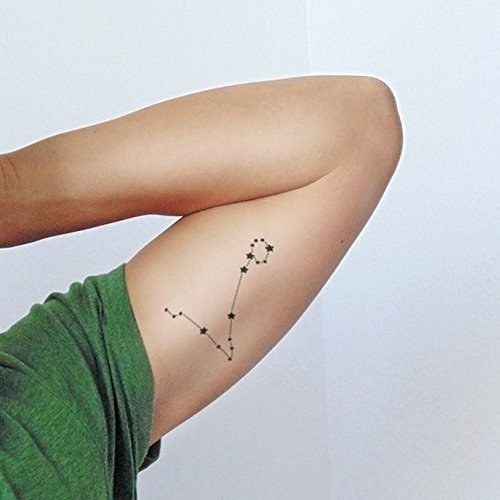 Delicate constellations for those starry-eyed folks who may or may not believe every single one of their horoscopes. 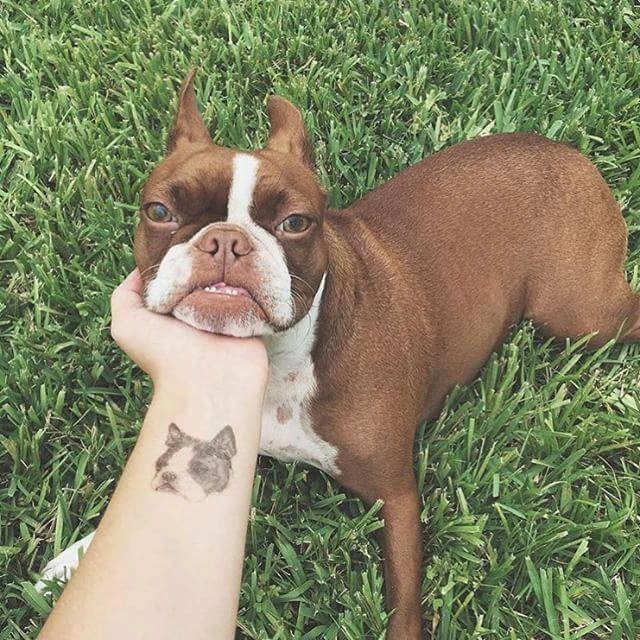 Get a pair of tattoos from TTTattoodotcom on Amazon Handmade for $3.29 — Orion here and Pisces here. 19. 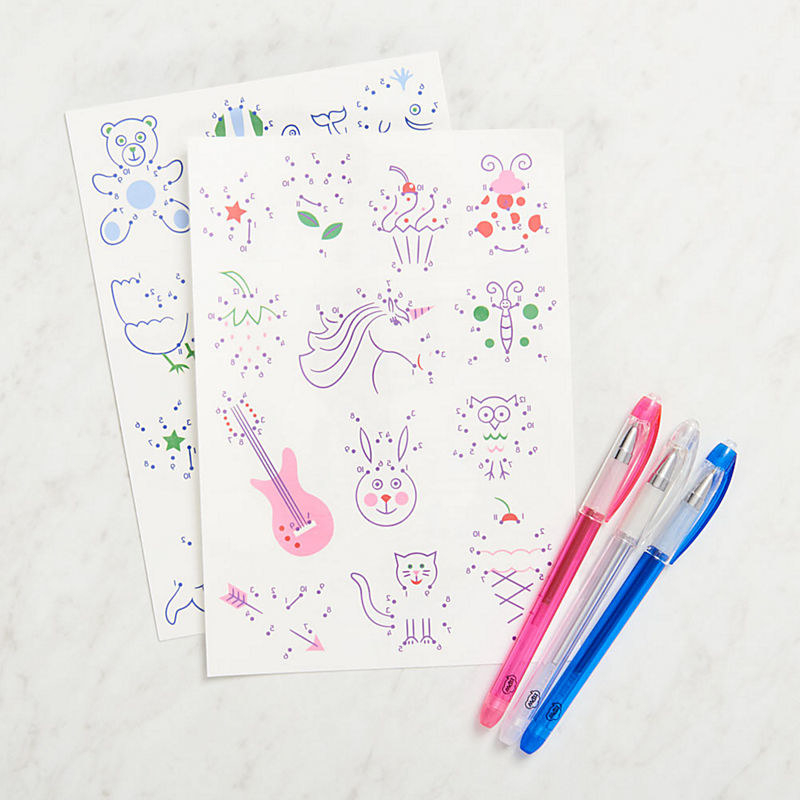 Enchanting watercolor woodland creatures on their way to steal your heart. 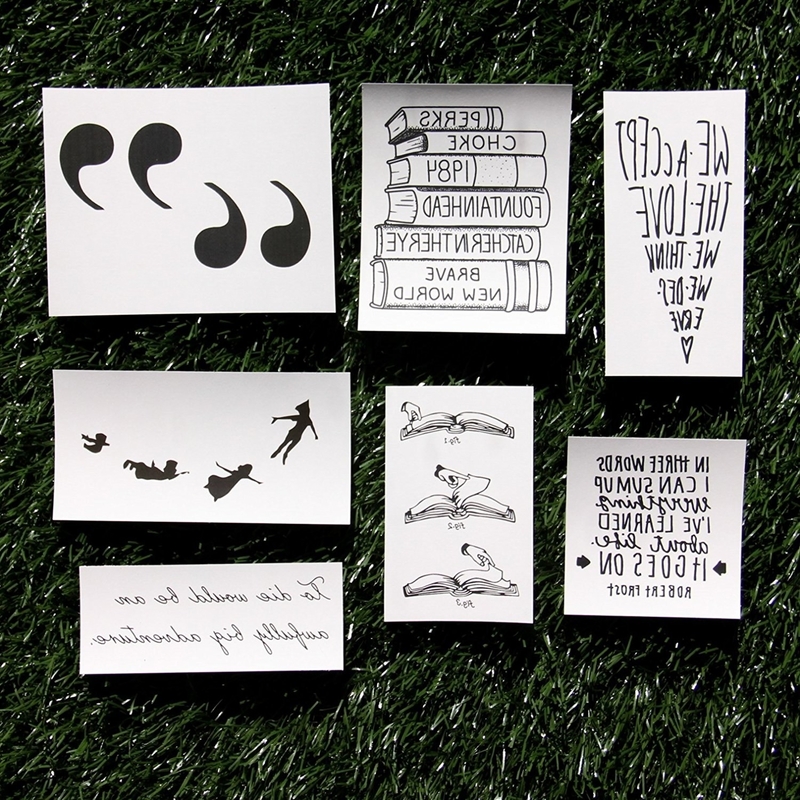 Get varying sets from Pepper Ink on Etsy for $4.99+. 20. 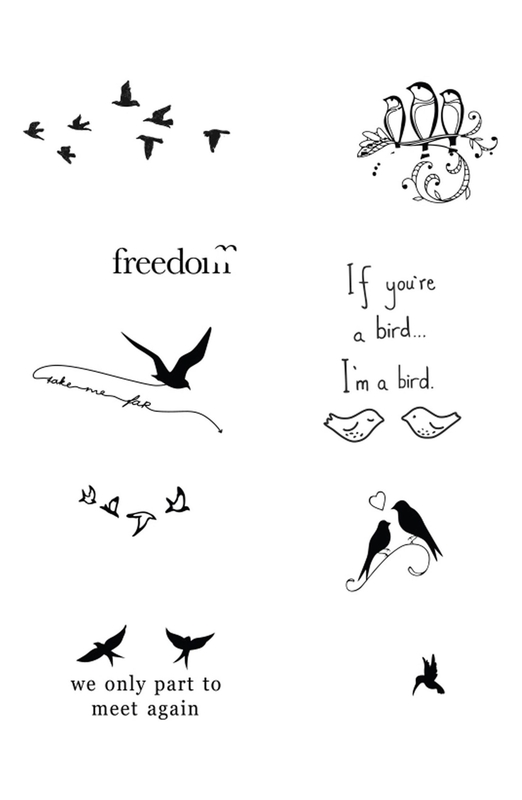 A minimalistic bird-themed set that will most definitely lead you to rewatch The Notebook. 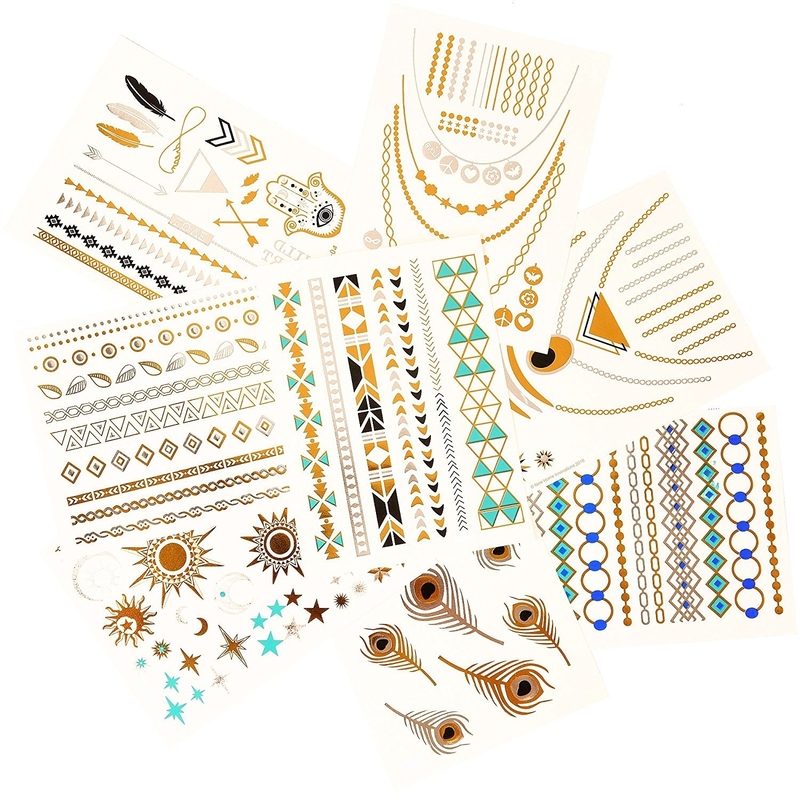 Get them as a set of 18 tattoos from Amazon for $10 or as individual designs for $3.99+. 21. 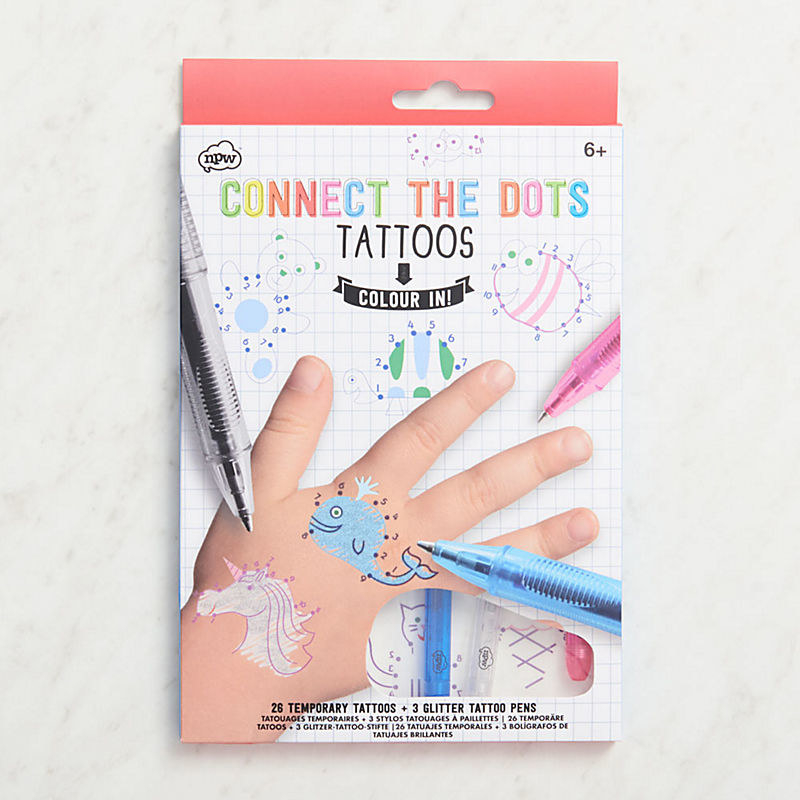 Connect-the-dot illustrations to color in with the included safe-for-skin ink pens. 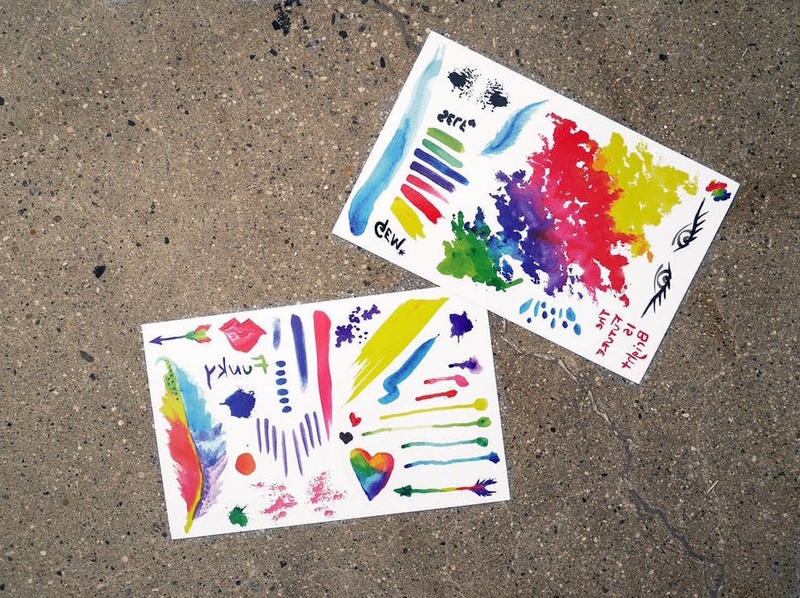 Get a set of two sheets (26 designs total) from Paper Source for $9.95. 22. 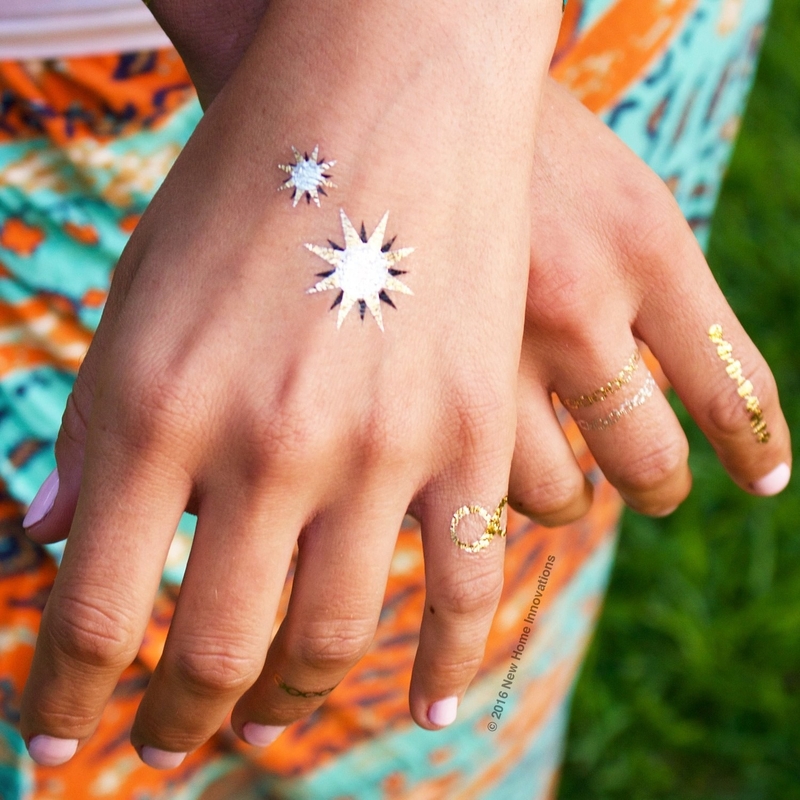 A colorful summer-tastic set of tattoos you'll be sporting poolside all season. Get a set of seven sheets from American Eagle for $12. 23. A trio of squishable household pets ready to play and temporarily stain your skin. 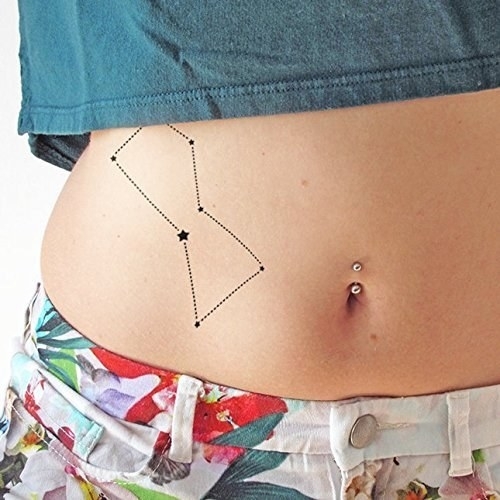 Get a set of 12 tattoos from Light & Co. on Etsy for $7.76. 24. An under-the-sea edition featuring ombre-haired mermaids and their jellyfish and dolphin friends. 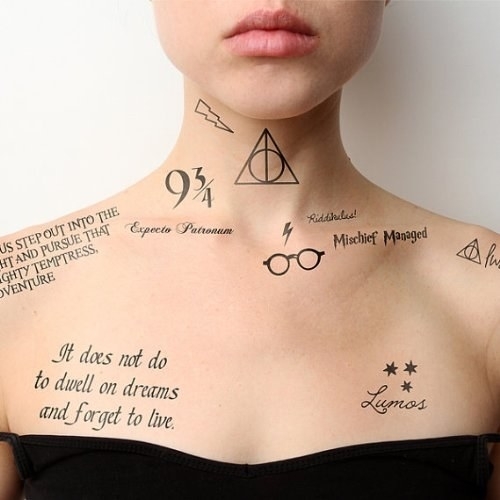 Get a set of 15 tattoos from House of Wonderland on Etsy for $6.64. 25. A pair of cute long-nosers very visibly ~trunk~ in love. 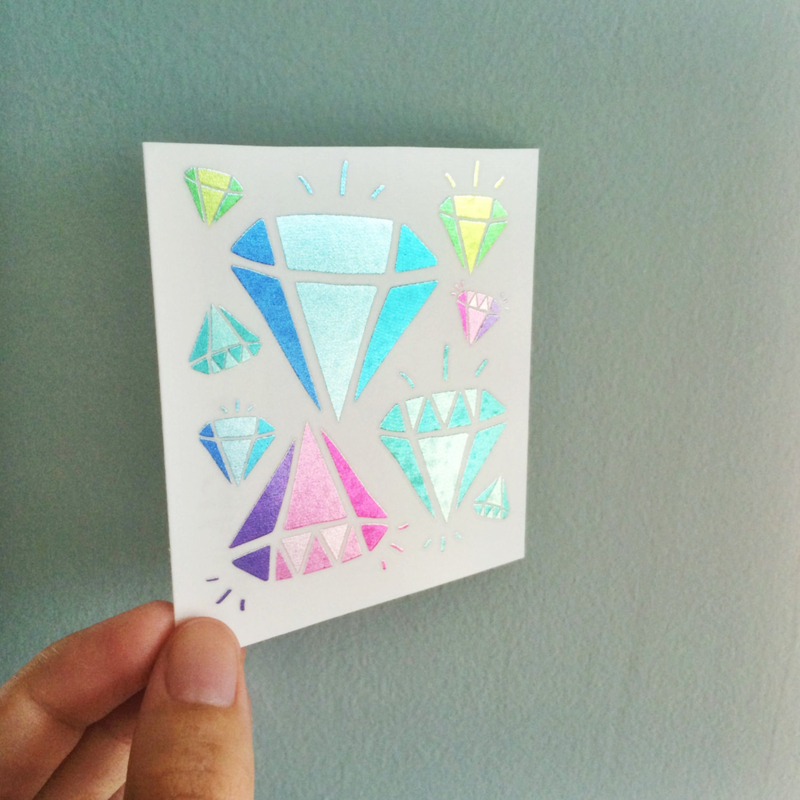 Get a set of three tattoos from Hail the Nails on Etsy for $2.64.